Today our new officers and board took their oath, including new president Bret King. 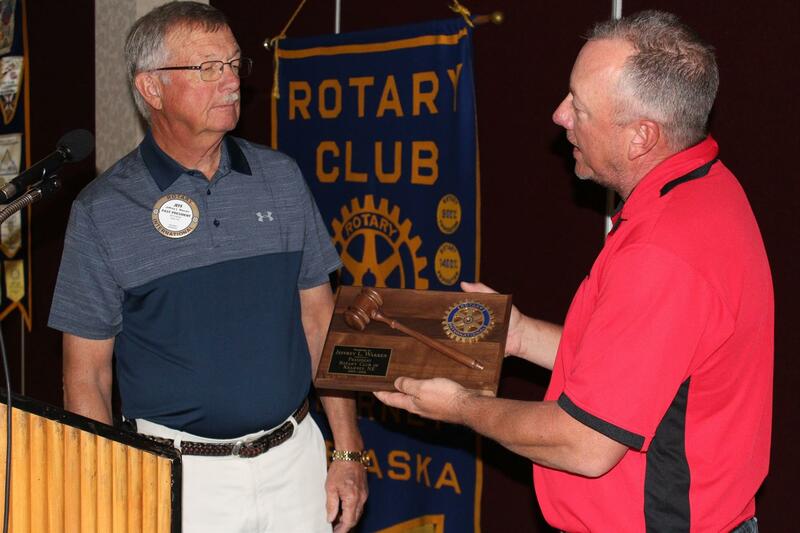 At past-president Jeff Warren's last meeting, Bret presented him with his appreciation plaque. Thanks Jeff, and welcome, Bret!